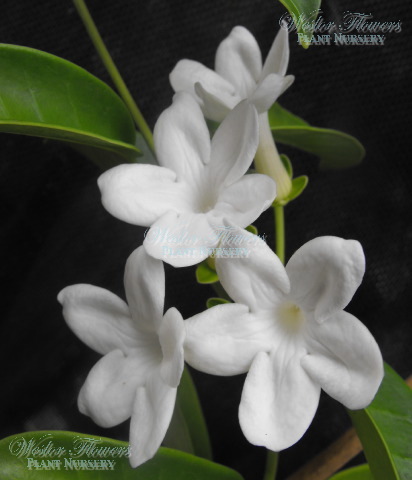 The Madagascar Jasmine has delightfully fragrant white waxy flowers that appear from spring through to late summer. The leaves are deep green and succulent like and evergreen. 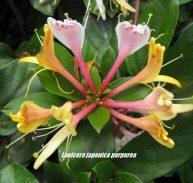 The flowers are used often for arrangement and do well in a vase. SOILS: The vine will enjoy most soil types but prefers well drained moisture retentive soil. PLANTING: Dig the hole twice the size of the pot and plant level with the surrounding soil. Water in well. CARE: Prune after flowering to control and shape as required. Fertilise after pruning and mulch well to conserve water.